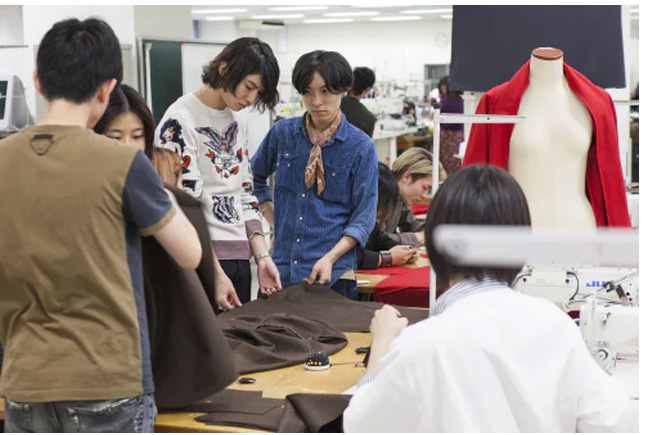 Bunka Fashion College covers all the fields of the fashion industry. Bunka Fashion College was founded in 1923 as the first dressmaking school in Japan. Since then, Bunka has had a significant role in fashion education in Japan. Its original, specialized and practical curriculum adapts to the changes in a diversified industry, and it continues to cultivate fashion professionals who can easily adapt to the modern fashion industry. Bunka Fashion College's campus comprises of a 21 storey building that includes the latest facilities such as a library, costume museum, and a resource center which provides a wealth of information on fashion. Bunka's campus contributes towards developing student's creative ability. The number of Bunka alumni has surpassed 300,000 over the course of its history and it has produced many great designers such as Hiroko Koshino, Yohji Yamamoto and Chisato Tsumori. Bunka Fashion College is one of the most prestigious fashion schools in the world. In two years gain a general ability and knowledge of garment creation including fashion design, pattern making, sewing, illustration etc. This is a course that is specially for graduates of specialized vocational schools, junior colleges, or universities. It is a practical one year course where students learn the process from design conception to pattern, pattern development, sewing, coordination, and product development. Established as an advanced course, this course will develop high level specialist skills to suit the individual aims of each student. Aiming to produce highly skilled designers by improving creativity and an ability to express ideas. Aims to produce technicians who have high level sewing and pattern making skills. Learn high level skills and develop a sound knowledge of appropriate garment creation for each individual customer's preferences, objectives and body figures.